I saw this mosaic completed in my mind's eye before I began it. 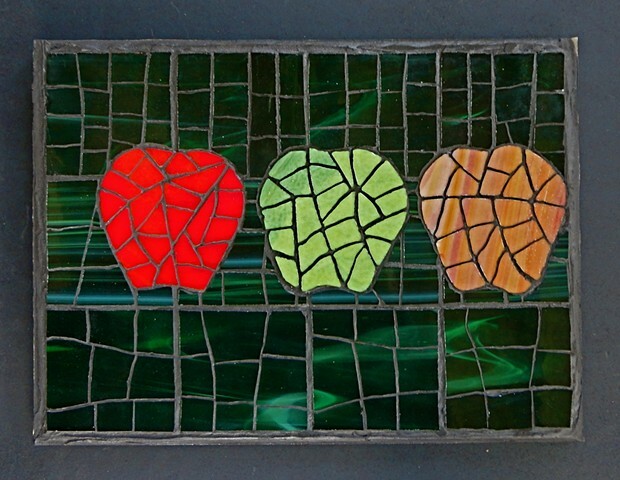 The beautifully patterned green glass suited the apples beautifully and gave a sense of depth. For me, it is a mosaic of simplicity and wholesomeness. Go to SHOP to purchase.